Note to readers: Dino is on vacation this week. Juliet Eilperin, The Washington Post's senior national affairs correspondent, wrote today's Lightbulb. Follow her here. -- They spoke out, then their emails were requested: The New York Times's Eric Lipton and Lisa Freidman report that shortly after three EPA employees spoke out against the department's direction, requests were submitted by a lawyer working for a GOP campaign group for copies of their emails mentioning chief Scott Pruitt, President Trump or that included communication with Democratic lawmakers. Now a company affiliated with America Rising, named Definers Public Affairs, has been hired by the E.P.A. to provide 'media monitoring,' in a move the agency said was intended to keep better track of newspaper and video stories about E.P.A. operations nationwide." One EPA employee whose emails were targeted called it a “witch hunt” against EPA "employees who are only trying to protect human health and the environment[.]" But the EPA fiercely defended its $120,000 contract with Definers, with a spokesman saying that the group was hired as a clippings service at a rate of $87,000 cheaper than the previous vendor -- and that the company isn't providing any other services. -- Taking aim at the "resistance:" One of the top executives at Definers has spent the past year investigating EPA employees critical of the administration, report the Times's Lipton and Friedman in a separate piece. Mr. Blutstein, in an interview, said he was taking aim at 'resistance' figures in the federal government, adding that he hoped to discover whether they had done anything that might embarrass them or hurt their cause. -- Red Team, BlueTeam, paused: The Trump administration is putting on hold Pruitt’s “red team, blue team” exercise to debate the science on climate change, E&E News reported. Trump has told Pruitt he supports his plan, but it has sparked divisions within the administration, per the report. The effort was put on hold following a meeting at the White House, which included EPA air chief Bill Wehrum, Trump energy aide Mike Catanzaro and deputy chief of staff Rick Dearborn. More: "Trump has privately told Pruitt he supports a public debate to challenge mainstream climate science, administration officials told E&E News. But the administration isn't unified behind the idea, and an official said prior to this week's meeting that 'Pruitt has not been given authorization to go ahead with red team, blue team; there are still many issues to be ironed out.'" -- Permits continue: The U.S. government is still granting permits to hunters looking to import elephant remains from Zimbabwe, The Post’s Darryl Fears reported. Between January 2016 and October 2017, the U.S. Fish and Wildlife Service granted 16 people permits in 11 states, Fears reports, citing information from the nonprofit environmental group Friends of Animals. But the permits were for trophies from elephants shot before 2014, when the Obama administration first established the import ban. The report follows Trump’s decision to postpone Fish and Wildlife’s announcement last month that it would lift the Obama-era ban. -- A leak at the EPA, and this one spilled sewage: E&E News reported Friday morning that plumbing issues at the EPA caused water fountains at agency headquarters to overflow with sewage. EPA employees received an email Friday morning about the issue. "There is a water line back up in the William Jefferson Clinton North Building that is causing the hallway water fountains to leak throughout the building in the 400 and 500 Corridors," the email said, per the report. "GSA is working this issue right now. There is no estimated time for resolution." -- Follow the money: Texas state records don't indicate how the state is using billions in federal aid to help with recovery following Hurricane Harvey, the Associated Press reports. While a large portion of the $11 billion in federal disaster aid received has been channeled through federal agencies, which keep public records of spending, it has been more difficult to track federal funding that is being distributed by the state, per the report. Public records show that as of Dec. 12, FEMA has paid $1.47 billion for hotel bills and emergency home repairs following the storm in Texas, the Small Business Administration has paid $2.84 billion in low-interest loans to homeowners and businesses, and the National Flood Insurance Program has doled out $6.87 billion in insurance. The AP notes more than $500 million has gone to Texas to reimburse state agencies and local jurisdictions for relief work -- including debris removal, power restoration and emergency repairs. But exactly how much money has been spent through the state has not yet been disclosed. 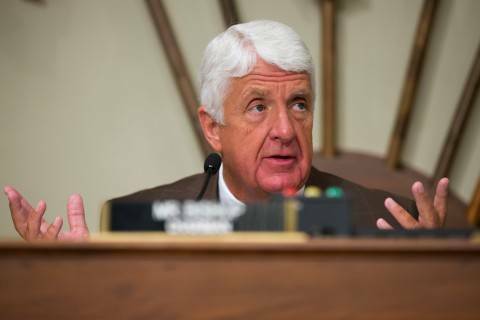 The U.S. House natural resources committee chairman on Friday invited outdoor retailer Patagonia's CEO to testify before the panel after the company criticized the Trump administration's decision to drastically reduce two national monuments in Utah. The final text of the legislation reverses language in earlier versions that could have slowed the growth of renewable energy. -- California is still burning: The Thomas fire in Southern California is still raging, with more than 8,000 firefighters battling what is now the third-largest fire in the state’s history, fueled by continuing Santa Ana winds. On Sunday morning, the San Fernando Valley experienced wind gusts of up to 70 mph in some areas, per the Los Angeles Times. The fire as of Sunday evening had burned through 279,000 acres and was 45 percent contained. Lighter winds into Sunday evening allowed firefighters to gain some ground in battling the flames. According to the LA Times, winds are expected to stay calmer Monday and Tuesday to 10 to 20 mph before they kick up again on Wednesday and Thursday in the region. The firefighting effort had surpassed $104 million in costs as of Saturday, officials said, Max Ufberg and Danielle Paquette report for The Post. 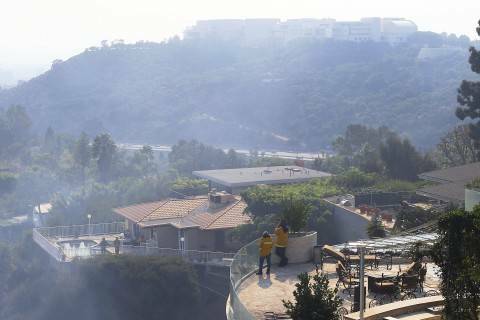 CNN reports that the Thomas Fire is on track to become the largest wildfire in the state’s modern history. The 2003 Cedar Fire, which burned through 273,246 acres, currently holds that spot. Sophisticated systems are protecting art collections, from the Getty to the Whitney, from the effects of climate change. 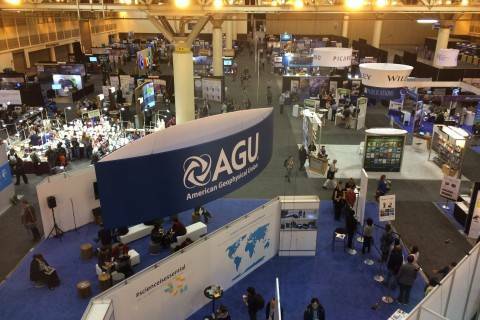 Alongside sessions about the ocean and Mars, AGU offers a congressional call-a-thon and legal advice for activist scientists. -- A power outage halted operation on Sunday at Atlanta’s Hartsfield-Jackson International Airport, the busiest in the world. The Post’s Faiz Siddiqui reported the outage was caused by a fire at Georgia Power’s underground electrical facility. The utility said the fire caused extensive damage, which resulted in more than 1,000 flights canceled from the busy hub and thousands of travelers stranded. No areas outside of the airport were affected. Shortly after midnight, power to all concourses had been restored, according to the Associated Press. Images and videos shared on social media show stranded passengers waiting in the dark at the airport. With 69 percent of power restored on the island, there are still about 600 people left in shelters, according to the AP. And more than 130,000 people have left Puerto Rico for the mainland United States. -- The New York Times reports on the small gestures that have slowly helped to rebuild the island: "... the day-to-day task of looking after one another and digging out from the storm, sometimes block by block, has fallen largely to Puerto Ricans, and most have done so with intimate gestures of compassion and solidarity," writes Lizette Alvarez. -- Jeremy Konyndyk, a former Obama administration director for foreign disaster assistance at USAID, writes for The Monkey Cage blog on whether federal disaster relief failures can be blamed for the reported wave of secondary deaths in Puerto Rico. 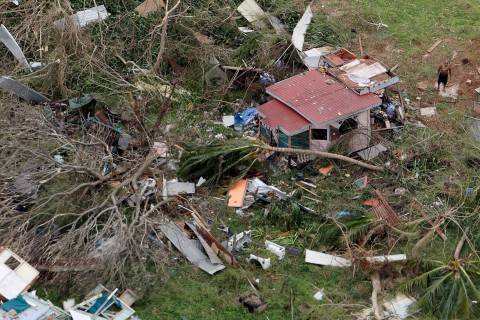 Back-to-back hurricanes destroyed hundreds of boats that were people’s livelihoods and even homes. The Center for Strategic and International Studies hosts the launch of the International Energy Agency’s analysis and forecasts to 2022. 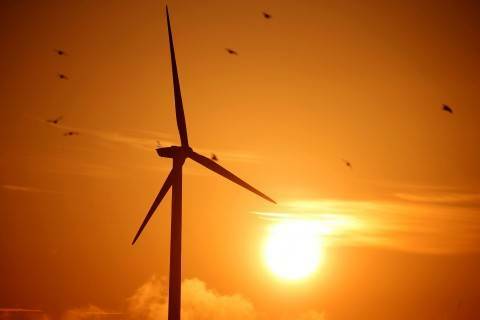 The Energy Department’s Office of Energy Efficiency and Renewable Energy holds a U.S. Offshore Wind Research and Development Consortium Informational Webinar on Wednesday. The Senate Committee on Environment and Public Works Subcommittee on Transportation & Infrastructure will hold a hearing on freight movement on Wednesday.